It’s 2015 and right around the corner we have fall, Halloween and now Swede Fest 15. Yep, it’s time to get those creative hats out of the closet, get some friends together and create a masterpiece of homemade filmmaking! 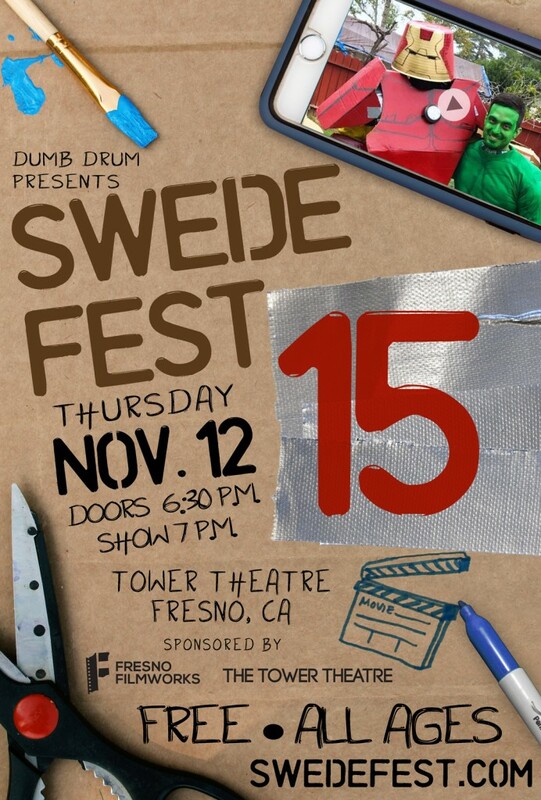 Swede Fest 15 will be held on Thursday, November 12th at the Tower Theater in the heart of the Tower District right here in Fresno. Doors will open at 6:30 p.m. and the show will start at 7 p.m. Entry for the event remains absolutely free and as this is a family friendly event, it’s open to people of all ages. Cool, so you’re going to the event and bringing some friends, right? That’s awesome but you know what would be even more awesome? If you went to the event and saw a movie that YOU AND YOUR FRIENDS made be shown on the big screen! 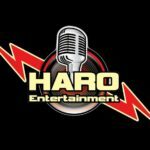 WE NEED YOUR ENTRIES! The deadline for entries is Sunday, November 8 at 11:59 p.m. But there’s no time like the present to start your creative process. Like always, will we show the first 20 entries we receive. So don’t be shy about turning in your entry early! Entries should be 4 minutes or under and suitable for all ages. It’s FREE to submit and everyone of all ages is encouraged to swede their favorite films. Once your film is completed, email us at info@swedefest.com and we’ll get you the instructions on how to get your film to us. Although it’s not required, we always like to hear from people who are planning to submit, so if you’re thinking about it drop us an email at info@swedefest.com and give us a heads up! And remember: emailing us ahead of time doesn’t hold your spot for the festival so getting us your entry earlier will give you a better chance of being screened! If you need some inspiration, feel free to visit our library of past entries right here and the ideas will be flowing in no time! If you have any questions, please email us at info@swedefest.com. And thanks to Alexa Westerfield for creating that lovely poster art up there this year, be sure to follow her on Twitter right over here.